India’s national carrier has been celebrating the International Women’s Day by having an all women crew steer its flights. 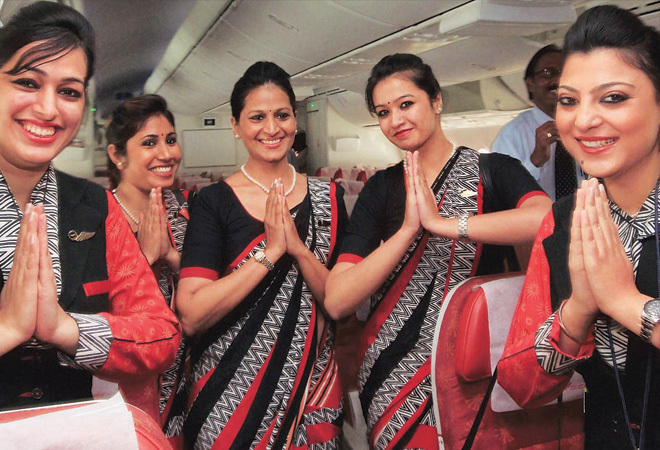 As part of its Women’s Day celebrations, national carrier Air India recently operated an all woman crew flight from Kolkata (east India). Flagged off by Air India’s general manager, personnel, Navneet Sidhu, along with other senior officials at the city airport, the flight was first of the many celebratory events planned by Air India Eastern Region ahead of Women’s Day on March 8. With only women in the cockpit and cabin crew, the flight operated on the Kolkata-Dimapur-Kolkata route. An Airbus 319, the flight- AI709, was steered by Captain Akanksha Verma and Captain Satovisa Banerjee. This is not the first time that Air India has done something of this nature. In 1985, it had operated the world’s first all-women crew flight from Kolkata to Silchar. “The incredible women of Air India operated all types of wide and narrow body aircraft in its fleet. Besides the cockpit and the cabin crew, the check in at counters, the load and trim for the flights, security checks as also the flight dispatch was also done by women employees on these sectors,” it had said on its website post the celebrations. Last year, the airline had also said that it would operate over 10 all-women crew flights in domestic routes. Air India staff includes around 3,800 women in a workforce comprising 27,500 people (as per 2017). On the occasion of International Women’s Day, Air India has flown all women crew flights previously as well, while also recognising and awarding achievers in the field of aviation.